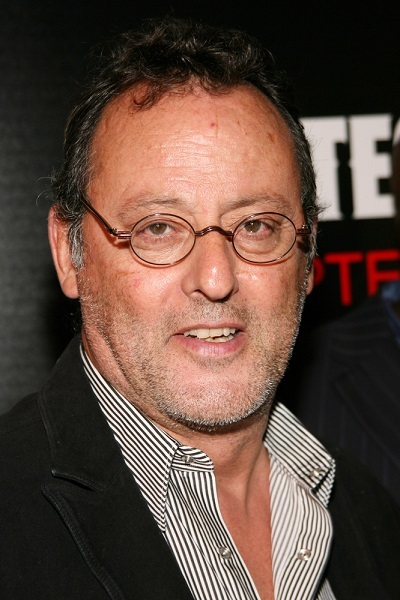 Jean Reno is a French actor. He was born in Casablanca, French Morocco, to Spanish parents. His father was from Sanlúcar de Barrameda and his mother was from Jerez de la Frontera, both in Andalusia, Spain. Jean moved to France when he was seventeen. What?! He is not even considered pale in Spain, his skin tone is totally average. There is MANY spanish actors with the same skin tone or lighter. And his family hails from Andalusia, isn’t that where the darker people suppose to come from, the south Lol. Just comes to show the misconception people have about spaniards. Why is he ashamed of his Spanish side? He’s always playing French roles and trying hard to be French. That’s all he ever does in his movies. It’s so cheesy. Yes, I know that he’s a French citizen. But he’s always acting like a stereotypical French in his film. He never acknowledges his ethnicity. He’s typecast in his films at best. Always playing a Frenchman. He maybe a French citizen, but he’ll always be Spanish. He even looks Spanish. Initially, I thought he was a French Arab (French of North African descent). Jean does not have a Spanish side. Jean is completely Spanish on all four sides. All their parents, their grandparents are Spanish. He does not have a gram of French blood. If he wants to hide that, that’s his problem. you claim that he is ashamed of his roots ? his father was from Sanlúcar de Barrameda and his mother was from Jerez de la Frontera, both in Andalusia, Spain.